A significant majority of the British public back measures to cut death and injury on the roads through limited restriction on newly qualified young drivers. An Ipsos MORI survey for the RAC Foundation shows that 68% of adults support, in principle, the introduction of graduated licensing for those drivers aged 24 and under who have just passed their test. Even amongst young drivers themselves, more support graduated licensing (41%) than oppose it (32%). “Just a few days ago we saw that deaths on Britain’s roads had fallen again, but the rate of decline over recent years has slowed and the issue of young driver safety is one of those matters that must be addressed. “The evidence from overseas shows there is a way of cutting the amount of death and injury on the road this age-group is involved in. It is called graduated driver licensing. What’s more we now know there is a great deal of support for it amongst the British public. “What we don’t know is why ministers have not acted. The current government has repeatedly promised a green paper on young driver safety and repeatedly failed to produce it. “If there were any other area of public health policy where this level of harm was taking place there would be an outcry, yet as a nation we seem to accept what is happening to many of our young people when they get behind the wheel. The survey is available to download under embargo here. Some numbers may not add up to 100% due to rounding. 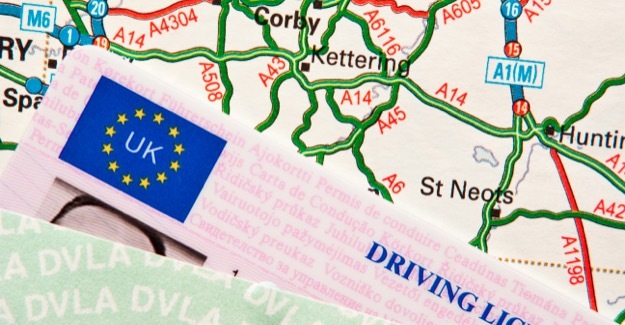 “Still thinking about a graduated driving licence, to what extent would you support or oppose the following if they were introduced for newly qualified young drivers aged 24 or under in Britain for the first 12 months after they have passed their test…? On 26 June 2014 the Department for Transport announced that 1,713 people were killed on Britain’s roads in 2013. This was a 2% drop on 2012. The Ipsos MORI survey for the RAC Foundation measured public attitudes in respect of road safety, two of the ‘intermediate’-stage GDL restrictions – namely, night-time driving and the number and age of passengers – and also about a minimum period of learning to drive. It involved a representative sample of 2,010 British adults aged 16+, with fieldwork undertaken between 7 March and 10 March 2014. The survey was undertaken online and involved respondents drawn from the Ipsos Access Panel. Data has been weighted to be representative of the known population profile in terms of region, age, gender, working status, tenure, socioeconomic grade and car/van availability in household.